Joshua Erlich's practice includes transactional and litigation projects for both individuals and small businesses. Prior to forming The Erlich Law Office, Mr. Erlich was an associate at McTigue & Veis, LLP. In that position, he worked on complex class action litigation, representing participants in employee benefit plans. 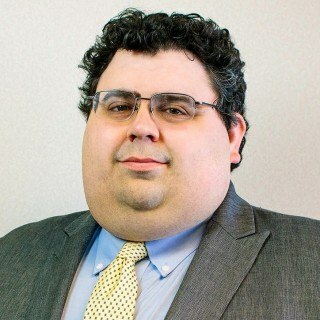 Mr. Erlich also served as a legal intern at the Department of Labor, Plan Benefits Security Division and in the Department of the Treasury’s Office of the Assistant General Counsel for General Law, Ethics, and Regulation. He worked at private firms during law school and held a summer associate position at O’Donoghue & O’Donoghue, LLP. Mr. Erlich earned his J.D. and his LL.M. in Taxation from the Georgetown University Law Center. He also holds a Certificate of Employee Benefits Law from Georgetown. While at Georgetown, Mr. Erlich was a Legal Research and Writing Fellow and worked as a research assistant for Martha Jo Wagner, an adjunct professor focused on ERISA litigation. He was a finalist in the American Bar Association’s Law Student Tax Challenge, LL.M. Division. Mr. Erlich is a graduate of Louisiana State University in Baton Rouge, holding a B.A. in History with a minor in Philosophy and a B.A. in Classics. He is admitted to practice in the Commonwealth of Virginia and has resided in Arlington since 2006.